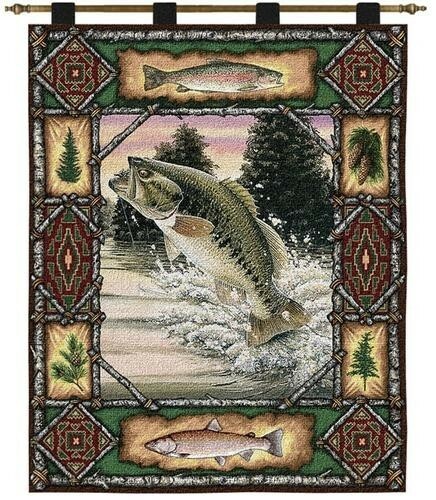 This lodge inspired wall hanging has lovely warm shades of browns and greens. A large mouthed bass jumps out of the lake. 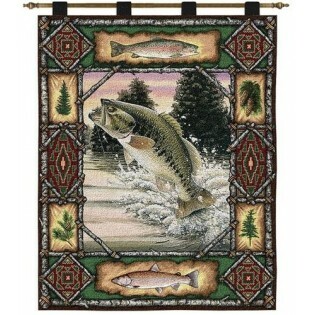 The Fish Lodge Wall Hanging is surrounded by rustic images of fish and pine cones flanked by a tree bark border.